NRHM Punjab Jobs Recruitment Notification 2019.Baba Farid University of Health Sciences, Faridkot under National Health Mission Punjab inviting applications for the positions of Computer Operators.Interested and Eligible candidates can apply for the positions. In the NRHM Punjab Latest News, 107 computer operator posts are going to be filled. Category wise vacancies are given below. A recognized graduation with one year diploma in computer application from an identified government/ private institute is the qualification for an applicants to apply. There should be a typing speed of 30 words per minute (wpm) in Punjabi languages. Below 18 years candidates are not eligible to apply. Above 37 years of candidates are also not eligible to apply. Age relaxation for other category applicants is as per Punjab government rules. 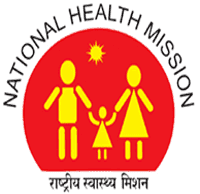 Rs.12,000/- is the pay per month to selected candidates for National Rural Health Mission jobs. There will be TYPING TEST to inspect the typing skills of applicants. The test date is not yet disclosed in the notification, once the date will release we update here. For NHM Punjab Recruitment 2019 Computer Operator Notification the mode to submit applications is ONLINE. From 25th January 2019 to 12th February 2019 the online portal link will be in active by the NRHM. To this Punjab NHM Notification, Baba Farid University of Health Sciences has taken the role to engage aspirants. So, applicants may log on to http://www.bfuhs.ac.in/ or https://nhmpunjab.in/ to apply.